Growing up and graduating from Dodge High School in Dodge, Nebraska, Randy attended the University of Nebraska in Lincoln, graduating with a B.S. in Business. 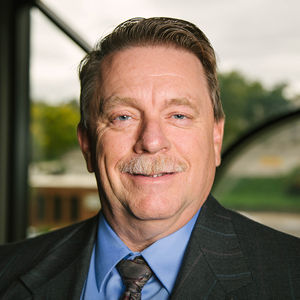 Randy started working with the Firm in 1994, where he has served as the Senior Paralegal in medical treatment, records and billing for the last 22+ years. He is married to Eileen and together they have lived in Elkhorn, NE for many years. Randy and Eileen have 3 children, Derek, Shelby and Carly. Derek is married (Dee) and they just blessed Randy and Eileen with their first grandchild. Shelby is a Graduate Assistant for the Doane University Softball program and also is pursuing a Master’s Degree in Art and Management. Carly is currently student teaching and is scheduled to graduate from University of Nebraska in Lincoln in December with a teaching degree as well as Special Education Major. Carly hopes to get a job teaching locally while continuing her education for her Master’s Degree. Randy and Eileen enjoy traveling, camping as well other numerous outdoor activities.